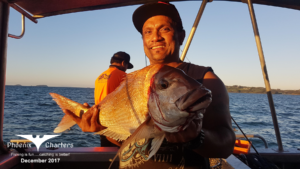 To book one of our individual fishing charters simply choose the day you’d like to go fishing and then select the 7am time slot below the calendar. 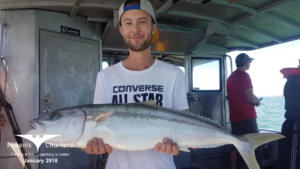 The trips will return approx 3-4pm and all our charters include our quality rod hire combos and lures/slow jigs for the day. 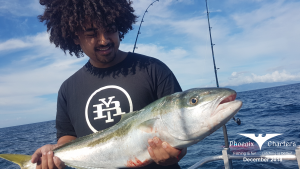 Our shared individual fishing charters do require a minimum number of 5 people, so if you are not flexible with your charter date please check with us before booking your trip as we can not guarantee all dates will be filled. 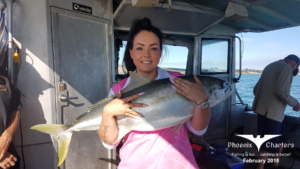 We confirm all charters via txt or phone call so if you’ve booked online and not heard from us please get in touch as we may have missed your booking. Weekday only Special (incudes Easter Monday) Just $180 each for a full day trip including all gear. 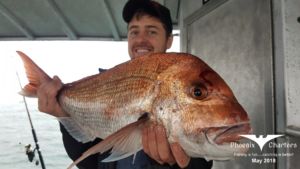 Please note our Special $160 6 hour fishing charters have finished now but will return again in Spring time when the fish move back in closer and the daylight hours get longer. 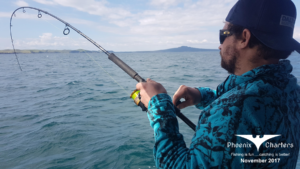 We run our individual fishing trips in Auckland all year round 7 days a week, they are only dependent on a minimum number of 5 anglers on board and to keep things simple we only allow bookings up to 8 weeks in the future. Because we require a minimum of 5 people on board before the trip is confirmed, in the event that we don’t get enough customers we will either refund your payment or reschedule you for another day, whichever works best for you. 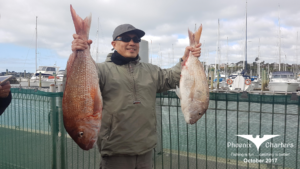 If you would like to join one of our individual fishing charters in Auckland for a full day fishing trip you can book your spot online above. First you will need to select the date you would like to go from the calendar above. Next choose the start time slot below the calendar of 7am and note we will return approx 3 to 4pm. The price will be displayed once you have selected the date and time options and will update based on the number of people chosen. The price also includes the free use of our quality fishing rod combos and lures/slow jigs for the day. You will just need to bring your own food and drinks but please leave your chillibins in your cars so we can maximize our fishing room. You should also bring suitable clothing and footwear for the forecasted conditions, e.g. Sunscreen, Hat, Jackets. 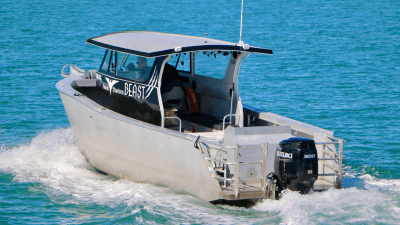 If you have not checked out our new vessel Beast yet have a look at our charter boat info page. Finding us is easy just go to the Contact Us page and take a look at the map. There’s free parking available as marked by the Green and Yellow (Yellow on Week Days Only) boxes and the Fish icon is the wharf we leave from. 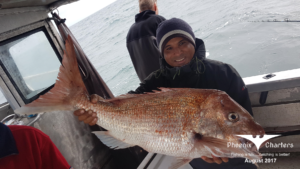 Phoenix Charters are excited to introduce our brand new fishing charter boat in Auckland. 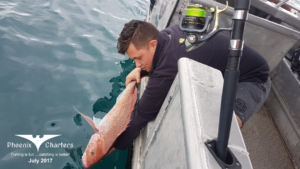 This is one hell of a fishing machine and allows us to get out to the fishing grounds fast so you get more time fishing and this means we can cover more ground on a single trip. 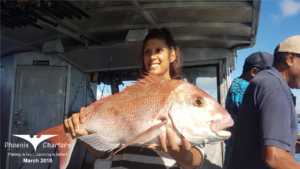 With the new boat, we will also be able to target anything from Snapper to Kingfish and maybe even Marlin in Summer time. Our new boat is a custom designed 9.3m full walk-around aluminium vessel which is powered by a 300hp Suzuki outboard, with this big outboard we are cruising the Hauraki Gulf at 25 to 28 knots allowing us to fish anywhere in the outer Hauraki Gulf including places like Coromandel, Tiri Tiri, Kawau, Channel Island, Anchorite Reef, Great Barrier, Little Barrier or as far as the Mokohinau Islands. 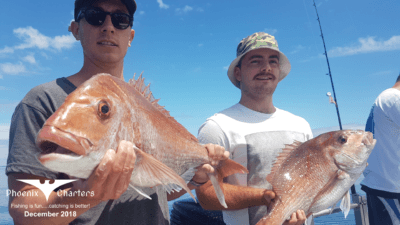 We are able to accommodate up to 9 anglers with the full walk-around design allowing everyone to have loads of room to fight their fish. The covered cabin features full length bench seating with room for everyone to have a seat and the separate private bathroom complete with hand basin and electric flush toilet is big enough to stand up in. 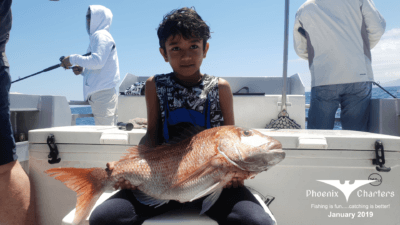 Also with the fully caged extended boarding platform and dual walk through transom door setup you can play even the biggest fish from any corner of the boat. 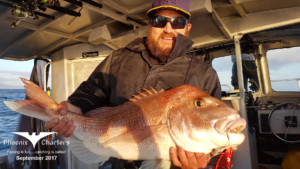 We’ve added in a massive live bait tank just below a huge rigging station to allow us more fishing options, we can also tailor make any fishing experience you like be it chasing Snapper in the workups with lures or live baiting for monster Kingfish or a big fish expedition to Little or Great Barrier Islands to throw softbaits into the wash and shallow reef structure, the whole Hauraki Gulf will be our playground. Check out our fishing charter boat gallery to get a better idea of what we have designed and you’ll see we have thought of just about everything, but it doesn’t mean we are going to stop there watch this space as we add more features to the boat over the coming months.